Polycom Trio™ 8800 is the conference phone reimagined for larger conference rooms. 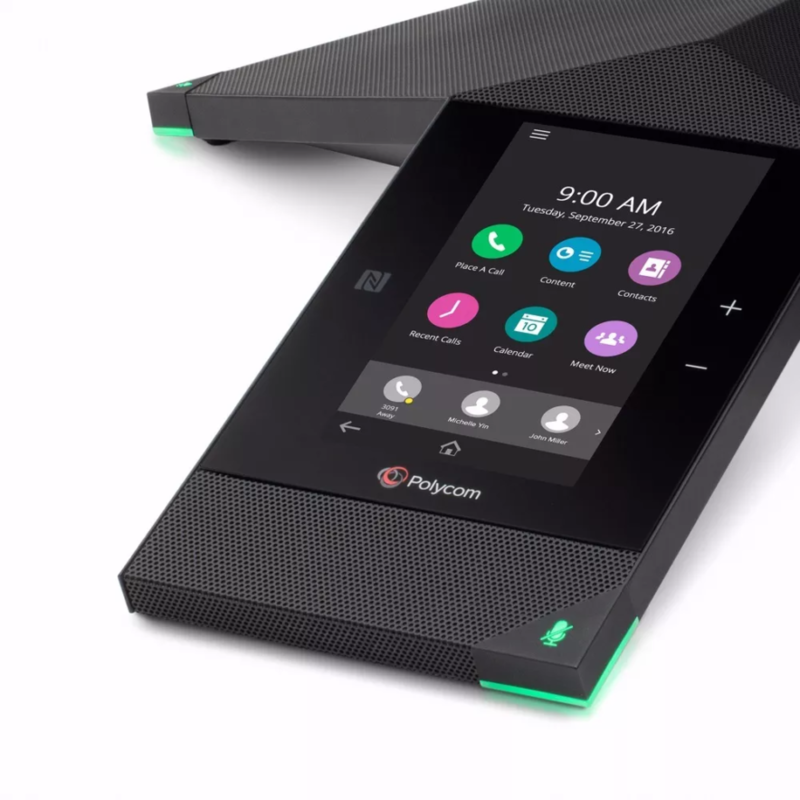 Marrying our world-class audio conferencing experience, with business-class video and content, the Polycom Trio connects to the leading unified communications platforms of today and tomorrow. Polycom Trio are the only certified Skype for Business/O365 conference phones on the market bringing the Skype for Business experience and functionality from the desktop to the conference room. When using a soft codec (Zoom, Webex etc.) on your PC or Mobile Phone, the conference call can be routed through the Trio™ 8800 via USB, Bluetooth, NFC or IP.